We know that data is the business asset for any organisation which always keeps secure and accessible to business users whenever it required. 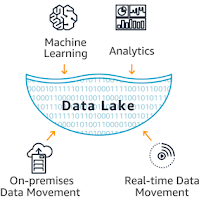 Data Lake is a storage repository that holds a vast amount of raw data in its native format, including structured, semi-structured, and unstructured data. The data structure and requirements are not defined until the data is needed. We can say that Data Lake is a more organic store of data without regard for the perceived value or structure of the data. The data lake is essential for any organization who wants to take full advantage of its data. 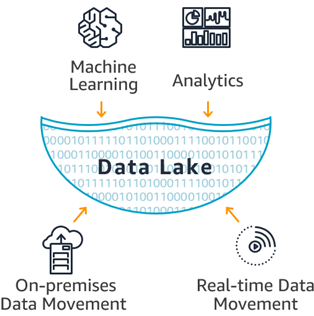 The data lake arose because new types of data needed to be captured and exploited by the enterprise. As this data became increasingly available, early adopters discovered that they could extract insight through new applications built to serve the business. This architecture utilises the foundation data management principle of ELT not ETL. In fact T is continuous (T to the power of n). Transformation (change) is continuous in every aspect of any thriving business and Data Integration Platforms (Meaningful Data Lakes) need to support that. Collaboration of OLTP and OLAP systems. Major differences between OLTP and OLAP. Data Warehouse - OLAP Servers. Why does cloud make Data Lakes better?